We believe a great dining experience begins with family. At our restaurants we combine great atmosphere with friendly staff and quality food. We hope the efforts of our family owned business reflect in the experience our guests have and make you feel right at home and part of our family. The Rincon family arrived in Virginia in the late 1970’s. All four children graduated from Fairfax county schools and universities and continued to invest in their community. They believed that their businesses should provide opportunity and pride to demonstrate the dedication to their hometown and the metropolitan area. Now their children continue the same aspirations as their grandparents did when they arrived over 30 years ago. Please note - we were informed that we would need to wait for an indoor table because Guapo’s *does not take reservations on weekends* - even though they accepted our reservation through OpenTable. We love Guapo's. Normally, we go to the one in Shirlington but tried this one instead. The salad portions are significantly smaller here than Shirlington. If I'm paying $15-17 for a salad, it needs to be substantial. I was still hungry when I left... And that is unusual for Guapo's. We had a nice meal, but the restaurant was super busy, which made service a bit sporadic at first. We made reservations and were seated immediately. Everyone was very friendly and checked on us several times. Dinner was good! We ordered the special of the day, shrimp with crab meat, and Guapo's ceviche. Both excellent. Nicole was our waitress, she was super attentive and gave us great recommendations. The outdoor seating is great. Our server was incredibly attentive and the restaurant ambiance was perfect for a get together with friends! Carne Asada Fajita was pretty expensive at $22.00. The peppers and onions were extremely greasy and had a taste of old oil. The meat was decent but not cooked as ordered. It was quite pink. The handmade guacamole was decent but had an after taste that was a bit off. The homemade flour tortillas were very good. The tamal was delicious and a generous portion. The vegetable burrito was okay but extremely greasy. We were quite surprised at the change in quality. We always went to the location in Gaithersburg MD for the past 11 years. This Fairlakes, VA location didn’t meet the grade. Only downside was the table size being small for the large plates you get, and it's a tad cramped and hard to order food. Otherwise the food itself was awesome. We love that place..food and service are always consistently top shelf. The Tequila Shrimp is an amazing dish, great Flan. Prices are a bit high, but what’s to expect in Northeren VA if it’s good. They were very accommodating for our large party. The service was excellent and everyone enjoyed their drinks and meals! They even sang and impromptu happy birthday to someone in our party! Really really really loud other than that, was good! Always a fun time at Guapos! The food is great and the service is the best around. Been going for years. Always love it. But this time my food was cool. Not warm or hot. Kept it anyway. Cuisine, service, and overall experience were excellent. Noise level is high, but the other pros far outweigh this con. Great experience. The hostess was very welcoming and guided our large party that straggled in to our table. Our table was positioned against the back wall which provided a great location for a large party. Our waiter, Rahul, was very efficient and provided great service for our group. Thanks for making our celebration easy and fun. Great food, service, and friendly staff. We always enjoy our visit. Service was great and very attentive. Food was very good , a bit under seasoned! Salsa is amazing! Best Mexican food in Virginia. Order the Guapo's Superior. The shrimp is amazing. My wife and I had a reservation for Feb 1, 2019 and we were very happy with the service and the amount of food we were given during our dinner. Great food, busy, festive environment. Great food and service, but a bit loud inside. Lots of screaming kids. We had to sit at a bar table because it seemed like they didn’t have any tables available. Not sure why I made a reservation? They wanted us to wait for a table and did not even apologize. The food, service, and quality were all phenomenal. We really liked the food and the servers were very nice. The food is a little pricey for Mexican but the quality was good. A bit noisy. Food was OK to good, the steak fajitas were tasty but needs more onion and peppers. The chicken chimichanga was only OK. Nothing particularly remarkable, overall not a good value. Not likely to return. Great atmosphere, customer service to the highest level, wonderful food and drinks. Best Mexican Restaurant in the area. I took my friend for her birthday because she wanted authentic Mexican food. She loved it, and called her husband to tell him that they needed to come back. Food is always good. Place is very busy during the holiday season as it is located in a shopping center. Good vibe, great freshly made tortillas, fresh guacamole but food is like a salt lick—way too salty and fairly mediocre all around. Margaritas from a mix...come on man. While on the surface a Tex/Mex chain, Guapo's has a strong Peruvian influence that has kept us coming back. Traditional Tex/Mex is fine, but they have lomo saltado, steak with yuca, mariscos saltado, and an extensive ceviche menu. Having lived in Lima, we appreciate finding a nice restaurant that serves Peruvian food that goes beyond roasted chicken. When I asked for green hot sauce for my maricos saltado what showed up was the house labelled green sauce that was pretty much the authentic Peruvian cilantro-flavored hot sauce. 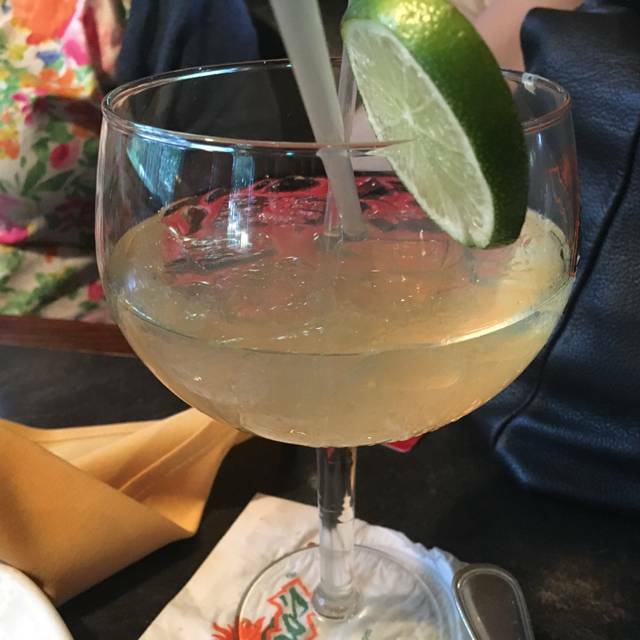 Margarita was excellent, and service very friendly and efficient. 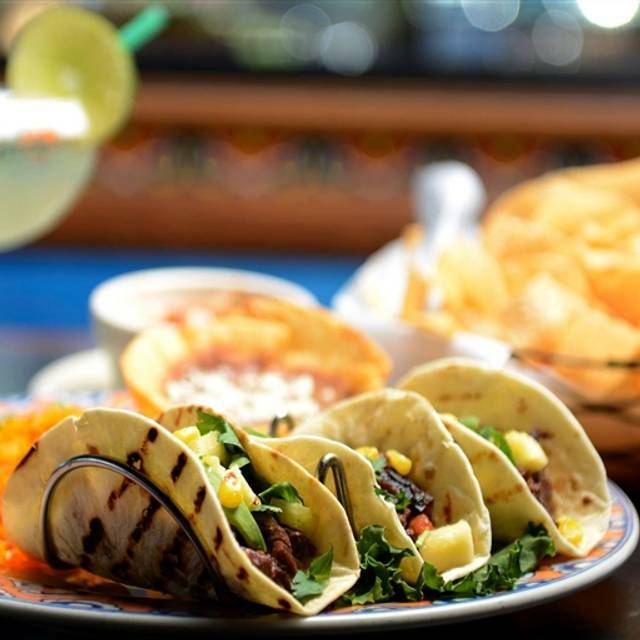 Guapos is our go to. Always good, always busy! The amount of cheese on top of the Chile Rellenos was excessive and unnecessary. The other dishes were tasty but the cheese made the entree inedible. Very noisy, not helped by loud music. 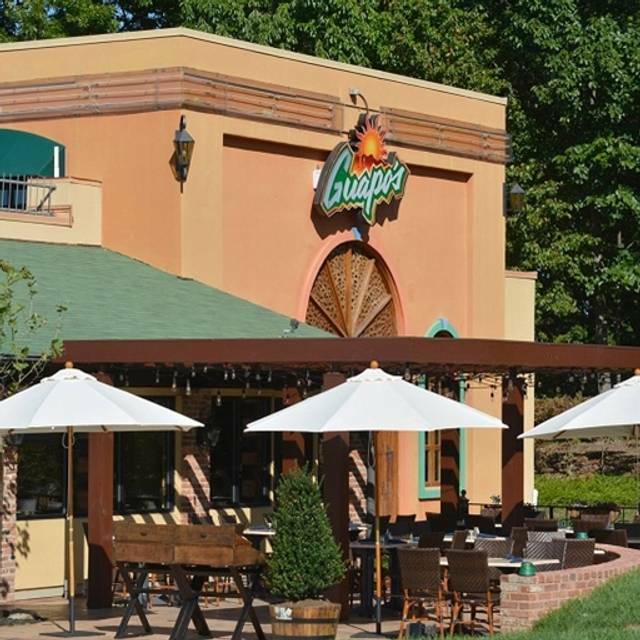 Although we like the Guapos in Shirlington, the Fair Lakes restaurant needs some management attention! Carlos, our server, was very good. He remembered us from our last visit and helped my wife her dietary restrictions. The food was good as well.